Randy Weston On JazzSet Our voices are our instruments and our hearts are our drums, says Weston, with his African Rhythms group at NJPAC in Newark on this JazzSet. 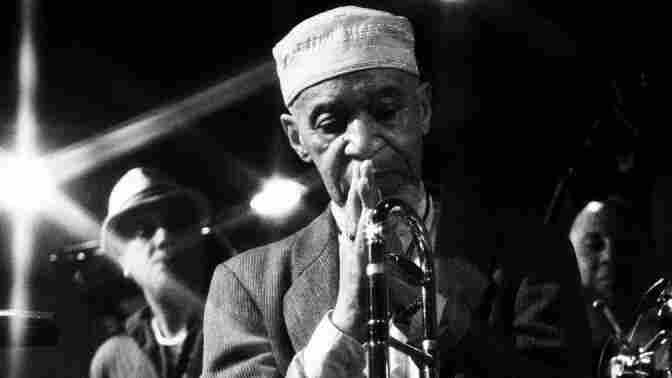 Randy Weston was born in Brooklyn in 1926, and the late Ray Bryant was born in Philadelphia in 1931. (Scroll down the page to hear the late Bryant performing solo in the 1980s.) Together in New York City in the 1960s, the two pianists demonstrated the history of jazz in 40 elementary schools. They organized the Afro-American Musicians' Society with an Eastern Seaboard Conference at a Harlem church. As speakers, they brought in the labor organizer A. Philip Randolph (Brotherhood of Sleeping Car Porters) and historian John Henrik Clarke, a pioneer in Afro-American studies. The society went to Local 802 of the American Federation of Musicians and worked hard to get anti-discrimination clauses in musicians' contracts. At night, Weston and Bryant loved to go from club to club, hearing the pianists of the day — Bobby Timmons here, Erroll Garner there. One of Weston's favorites was Bryant himself: "Ray Bryant had that combination of black church and blues I heard in his music, and you can't manufacture that." Bryant died as this episode of JazzSet was being produced, on June 2, 2011. Randy Weston is a storytelling musician. Last year, Duke University published his autobiography, African Rhythms, and in April, he turned 85. In May, he received a Guggenheim Fellowship in Music Composition, and plans to write a new suite of music for Africa. Later in the month, as part of the World Nomads program at the French Institute Alliance Française in New York, Weston received honors from His Majesty King Mohammed VI for his lifelong engagement and deep commitment to bringing Morocco's Gnaoua tradition to the Western world. 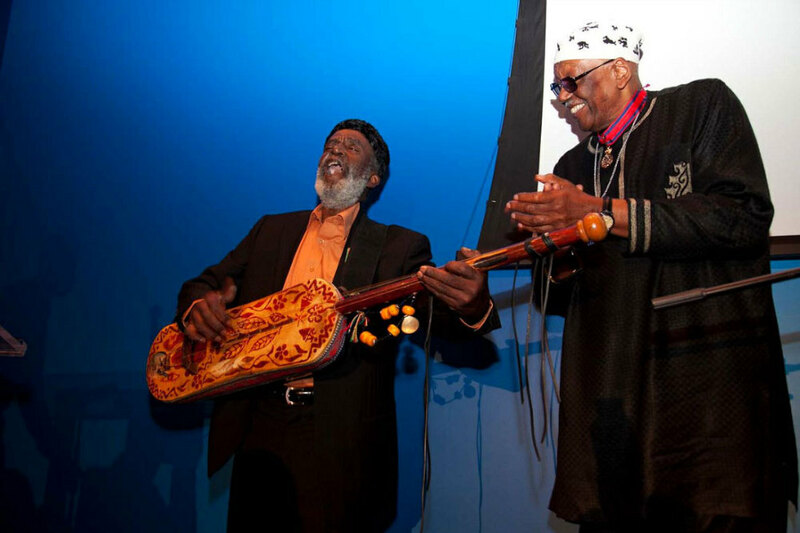 Gnaoua maestro Abdullah El Gourd, in New York for the occasion, was also honored by the king, played the guembri and sang for his friend Weston (see the photo). You'll hear that music on JazzSet, leading into Weston's composition on a Gnaouan theme, "Blue Moses." 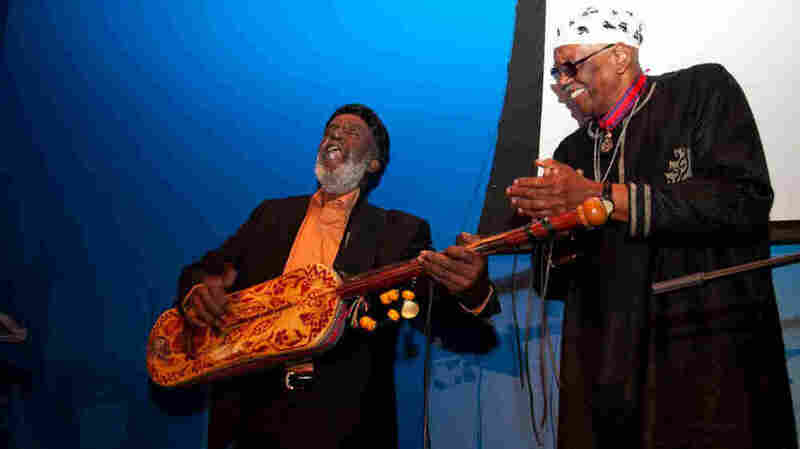 On Feb. 26, 2011, Weston brought his longtime quintet, African Rhythms, to the Alternate Routes series at NJPAC in Newark. This group is Weston's family on the bandstand. He writes about each member in African Rhythms. Bassist Alex Blake "gives me that rhythm, it's in his blood — we share a Panamanian heritage." Talib Kibwe (TK Blue) on saxophones and flute first worked with Dollar Brand, the pianist from South Africa now named Abdullah Ibrahim. Weston calls TK his music director and straw boss. Weston first played with percussionist Neil Clarke doing benefits for children in the House of the Lord church in Brooklyn. And, although tonight's trombonist is the fine Robert Trowers, the chair still seems to belong to Benny Powell (1930-2010). Randy Weston says that Benny Powell (pictured) "had that fat, round sound; he had the foundation of New Orleans in the trombone playing." Hear two live recordings as heard on the mid-1980s American Jazz Radio Festival in Cleveland, Ohio. "When [Powell] took a solo, you could sing that solo," Weston says. "It was like he was speaking to you. He had that fat, round sound; he had the foundation of New Orleans in the trombone playing." Continuing in an interview with JazzSet, Weston remembers participating in a film in Morocco, "a village called Jujuka, and we had to go up there on donkeys, up in the mountains. 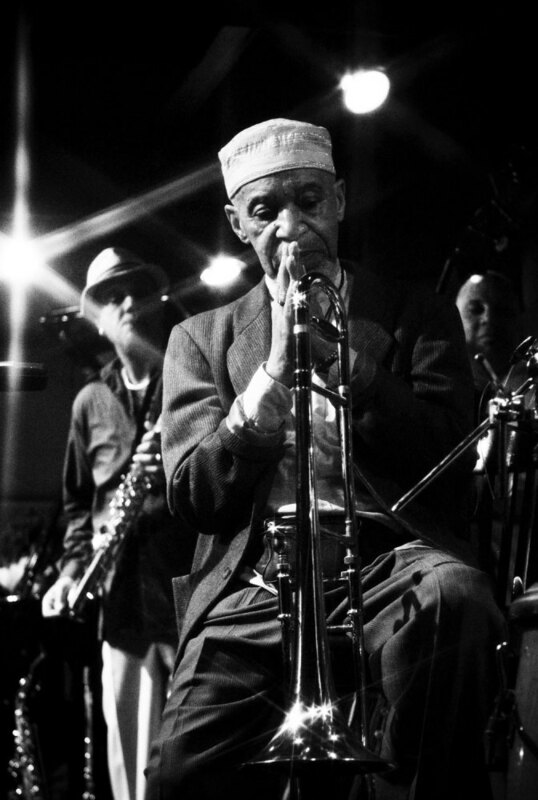 Here, Benny Powell goes up on the donkey with the trombone on his back, and we didn't even play — we just went up there and listened to the traditional healers. So when I say fearless, Benny was. Yes, he was." Weston laughs with pleasure at the memory. Pleasure is ahead for you, as we listen to Randy Weston's African Rhythms in Surround Sound on JazzSet, keeping in mind his Sufi credo that we are all musicians. Our voices are our instruments; our hearts are our drums. Personnel: Randy Weston, piano; TK Blue, saxophone and flute; Robert Trowers, trombone; Alex Blake, bass; Neil Clarke, percussion. Guests: Salieu Suso, kora; Hassan Jaffa, guembri (or hejhouj) from Morocco. Remixes in Surround Sound by Duke Markos. Originally broadcast on WBGO by Simon Rentner with Michael Downes. Thanks to David Tallacksen. Executive producer is Thurston Briscoe III.